Man Ray. Born Emmanuel Radnitsky, on August 27, 1890, in Philadelphia, the first of four children of Melach Radnitsky, a tailor, and Manya Louria (or Lourie), both Russian-Jewish immigrants. He assumed the single combined first and last name of Man Ray when his entire family adopted the surname Ray in 1911. The family moved to Brooklyn, New York, in 1897, where Man Ray, with family encouragement, early manifested his enduring fascination with gadgets, objects, and inventions as well as with art. While attending Boys' High School from 1904 to 1908, Man Ray's passion for art grew, initially in visits to the New York museums and later when he saw the first modern works shown in the city, in 1908. Graduating from high school in 1908 with a determination to become an artist, he daringly refused a scholarship to study architecture. After two brief and unsatisfactory stints at more established art schools, with Alfred Stieglitz's encouragement and then with the mentorship of Robert Henri at the life drawing sessions at the anarchist Ferrer School, Man Ray became a largely self-taught artist. Establishing a lifelong pattern, he improvised, sometimes copied, more often invented, and constantly learned from his friends. Man Ray, particularly inspired by the cubist works at the Armory Show of 1913, absorbed the iconoclasm of the young poets, radicals, and artists then giving a new flavor to New York life. That year he moved out of the family home first to Manhattan and then to a little cottage in an artists' colony in Ridgefield, New Jersey. In these years he painted a series of cubist canvases, coedited an avant-garde journal (its one issue included poetry by Ezra Pound and William Carlos Williams), wrote and self-published poetry, and drew antiwar political cartoons for Emma Goldman's Mother Earth News. In May 1914 he married Adon Lacroix, a Belgian-born, French-speaking poet; they had no children. In 1915, at his first one-person show at the Daniel Gallery in Manhattan, an important collector bought six of his cubist paintings, providing both the money and the incentive for him to rent a studio in New York City. Man Ray also bought a camera, chiefly to document his own art works. At this time he met Marcel Duchamp, who became his closest friend and strongest artistic influence. In the next five years, Man Ray largely moved away from conventional painting to other media--collage, photography, the assemblages from found materials, and aerographs--creating a rich variety of works that demonstrate, despite the marks of Duchamp's influence, a formed artistic style. The Rope Dancer Accompanies Herself with Her Shadows (1916), influenced by Duchamp's then unfinished assemblage The Bride Stripped Bare by Her Bachelors, Even (19151923) and painted from a collage, illustrates the multiple media and influences that became a fixed part of his style. The Revolving Doors (1916-1917), a series of ten collages accompanied by a text, rendered mysterious Man Ray's developing theories of art by creating deliberate confusion between abstraction and representation. Self-Portrait (1916) was his first publicly exhibited proto-dada object, a canvas with two doorbells and buzzer that frustrated viewers by not ringing when pressed. He painted Suicide (1917) with a commercial airbrush--a "pure cerebral activity," he asserted, since the artist never touched the work's surface. And he created his first photographic images. Portraits and reproductions of works of art brought him a living without trudging to an office. He experimented with puns, whimsies, shadows, and symbols, such as the eggbeater and its shadow that became the photograph titled Man (1918) and the flashbulb reflectors, six clothespins, and shadow that became Woman (or Shadow) (1918), both suggestive of Duchamp's "ready-mades." The New York art world provided Man Ray with stimulating companions, but efforts to create a climate for modernism and dada in the city failed, and he found no buyers for his newer, less inhibited work. In about 1918 he and his wife separated, although they did not divorce until 1937. His marriage having collapsed, Man Ray burned a number of his older works, borrowed $500, and set off to Paris in July 1921. Paris both rewarded and disappointed him. Welcomed by the Dadaists as a precursor, he fell immediately into their social scene. His first show, under dada auspices, however, proved that Paris also offered no market for his paintings. But commissions for portrait and fashion photography soon assured him a livelihood and allowed him to create images that established his reputation as a master photographer. While Man Ray never quite overcame his prejudice that photography rated below painting as an art form, he, in fact, maintained his avant-garde reputation in large part through the invention, or more strictly the reinvention (since Fox Talbot had done them in the 1830's) of the photogram, the cameraless photograph created by placing objects on photosensitive paper and exposing them to light. With his rayographs, as Man Ray called them, he had, said writer Jean Cocteau, unlearned painting by making "paintings with light." To Tristan Tzara, a leader in the dada movement, he had transformed a machine-age art from mechanical to mysterious: common objects were "set, softened, and filtered like a head of hair through a comb of light." He further removed photography from any suspicion that it offered an objective rendering of the world by perfecting solarization, which created demarcating lines around images by controlled introduction of light during the developing process. 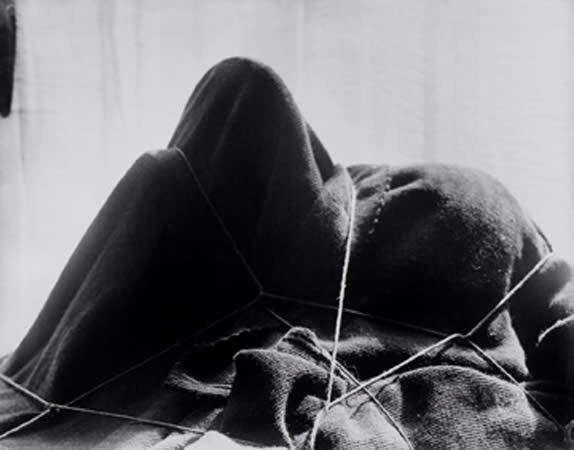 Man Ray's reputation among French artists as well as in the fashion industry grew even as American critics, dubious about photography as art, viewed him as an illusionist, a trickster, and an entrepreneur. His success, however, was undeniable. The subjects of his portraits included Georges Braque, Pablo Picasso, Henri Matisse, Gertrude Stein, Francis Poulenc, and Ernest Hemingway in the arts as well as such social notables as Nancy Cunard and the Marquise Casati, whose double-exposed face with two pairs of eyes both pleased its subject and became a surrealist icon. His several experimental films commanded enthusiastic audiences among the Paris literati and remain a subject for scholars of the film. His images of women--nudes, faces, complex distortions, punning surreal compositions, such as the famous Le Violon d'Ingres (1924) with its violin F-shaped sound holes on his model's naked back--remain among his most influential works. His art appeared frequently both in exhibitions and in various magazines, ranging from avant-garde publications to Vogue and Harper's Bazaar. Man Ray earned a good living and generally enjoyed his expatriate life in the Paris art community. His liaison with beautiful women, particularly Kiki, a nightclub singer and painters' model known as "Queen of Montparnasse," and Lee Miller, the famous model and photographer, inspired major works. His best-known painting of the Paris years, Observatory Time-- The Lovers (19321934) (also known as The Lips), began with a photograph of Kiki's lips and emerged years later as a giant vision of Miller's lips floating in the sky over Paris. 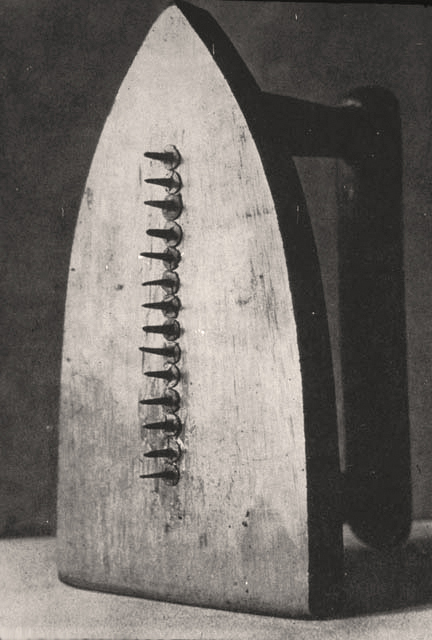 By the time World War II forced Man Ray to return to the United States in 1940, he had become a major figure in international art: a leading modernist photographer with a vast body of work, an occasional painter of notable surrealist images, an indefatigable creator of surrealist objects, and a pioneer in making fashion photography adventuresome. The return to the United States, where Man Ray had never gained acceptance as an artist, was difficult. He stayed only briefly in New York City, largely avoiding the art world, and soon migrated to Los Angeles. There, in the "beautiful prison" of California, as he described it, he found respect as a pioneer of modernism, opportunities to paint and to exhibit his work, and a few admirers who bought enough of his work to keep him going. He also met Juliet Browner, a dancer; they were married on October 24, 1946. They had no children. Man Ray was never fully comfortable in Hollywood, never felt the respect for his calling as a dedicated iconoclastic artist that had always consoled him in Paris, and was never financially secure. In March 1951 the Man Rays sailed for France. During the next quarter century Man Ray continued to paint, to make objects, to commission replicas of his objects ("To create is divine," he wrote. "To reproduce is human. "), to write--including an autobiography, Self Portrait, in 1963, and to cooperate in the monumental exhibitions of his work mounted with increasing frequency as his reputation as a creator of the modern style continued to grow. His place in art history was secured in the 1960's as dadaesque objects again flourished and photographic images gained acceptance as works of art. Major exhibitions in Paris in 1962, in Los Angeles in 1966, in Rotterdam in 1971, in Paris in 1972, and in New York in 1974 demonstrated renewed appreciation of his lengthy career. He died in his studio in Paris. Man Ray never achieved the reputation as a painter to which he aspired, could never accept with grace his seminal role in the history of photography, and always longed for an acceptance by American art critics that he never quite achieved in his lifetime. Nonetheless, his place in twentieth-century art continued to grow after his death. The National Museum of American Art mounted Perpetual Motif: The Art of Man Ray in 1988, a retrospective exhibition that traveled to Los Angeles, Houston, and Philadelphia during the next two years. The French government in the early 1990's constructed a replica of his studio in the Pompidou Center as a monument to the American whom France has adopted as one of its national treasures. William Copley, one of his patrons, termed him "the Dada of us all." He brought together an astonishing number of the characteristics that have been labeled "postmodern" in the art made in the years since his death. He created objects only to photograph them; he dissolved the line between unique and reproducible objects; he pioneered manipulated and cameraless photography; he veered from medium to medium; he incorporated machine-made and artist-crafted objects into hybrids; he rejected craft and technique for concept and idea; he combined words and images in startling and humorous juxtapositions; he was a cheerful surrealist, a nonideological dadaist, a tinker and inventor, an American and a European, a conjurer of dreams but usually not of nightmares. He sought to "amuse, bewilder, annoy, and inspire" rather than to shock--or to confront the full terrors of the twentieth-century world. Le Dadaïsme avait accompli ce qu’il s’était proposé de faire : il s’était moqué des futilités artistiques et politiques de l’époque, leur avait opposé sa propre irrationalité, et avait renversé toutes les valeurs établies. C’était comme si les Dadaïstes se proposaient de prendre entre leurs mains les affaires de ce monde, ce qui laissait supposer qu’ils n’auraient pas pu faire un plus grand gâchis que les dirigeants accrédités. (…) Le Dadaïsme ne mourut pas : simplement, il se transforma. He produced these Rayographs by arranging transleucent and opaque objects on photosensitive materials. His techniques included immersing the object in the developer during exposure, and using stationary and moving light sources. [Naomi Rosenblum, A World History of Photography, 3rd edition 1997, Abbeville Press, p394]. Man Ray obviously did not invent the photogram, but he breathed life into the technique and gave it a spirit. He moved to Paris in 1921 where he did professional portraits and fashion photography. It was during this time that Man Ray explored many creative aspects of the photogram. László Moholy-Nagy (1895-1946), American, born in Austria-Hungary (in Bacsborsod). He moved to Vienna in 1919 after serving in the army. He later moved to Berlin, creating metal sculptures and paintings. In 1919 he and his wife Lucia Moholy began experimenting with the process of making photograms, and Lucia Moholy (Czechoslovakia) developed a technique they called the photogram, which is the term generally used today. This term was used as a direct comparison with the rapid direct communication of the telegram. http://anniehalliday.com/photograms.php . Moholy-Nagy considered the “mysteries” of the light effects and the analysis of space as experienced through the photogram to be important principles that he experimentally explored and advanced in his teaching throughout his life. [László Moholy-Nagy, Vision in Motion (1947)]. Moholy-Nagy, Gyorgy Kepes and Nathan Lerner design a traveling exhibition in 1941 of photograms created by students and faculty of the school called "How to Make a Photogram." This exhibit travelled through the winter of 1947. [Taken By Design, p148]. Moholy-Nagy used many unconventional methods to create effects in his photograms that noone had previously considered or demonstrated effectively. For example, he is reported to have squirted oil into developer and squeezed oil between sheets of glass during exposure to the photosesnsitive emulsion.